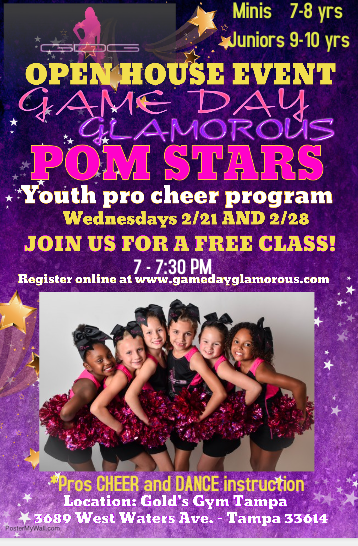 Pom Stars will be hosting 2 free classes this month. Plus there will be a POM STARS summer camp March 12 through 16. The POM STARS program is open to cheerleaders ages 7-10 and is focused on cheer and dance instruction, team building experiences, pro level appearances and performances. If your child is interested in cheer, this is a great opportunity to get them introduced to a program. More details and contact here.